Well, I have an old PSP which contains Memory Stick Duo Pro with 2 GB capacity and nowadays, that capacity is really small and high capacity MS Duo Pro is expensive. So it is not a worth investment to buy. 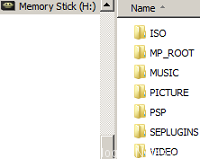 So I searched around and found a way to use SDCard as storage in MS Duo Pro adapter that can be inserted into PSP as MS. As this PSP is old model (PSP-1000), I am not confident that high capacity Micro SDCard such SDXC (64 GB and above) can be used. Note: PSP-1000 supports FAT32 filesystem only and FAT32 supports up to 32GB SDCard capacity. S1-1. 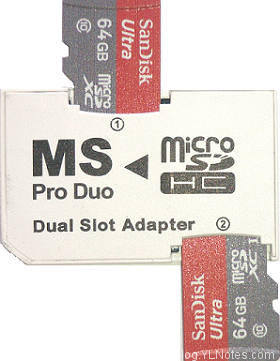 Insert Micro SDCard SDXC on each MS Duo Pro Adapter Slot. The Memory Stick™ cannot be read. Go to [Settings] > [System Settings] to format the Memory Stick™. S1-5. Eject MS Duo Pro Adapter and insert into your computer Memory Stick slot. S1-6. 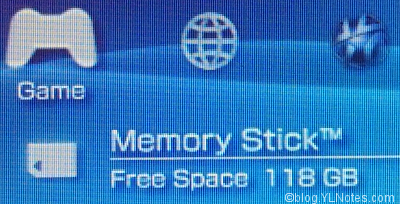 Navigate to Memory Stick drive, you will see PSP filesystem. S1-7. 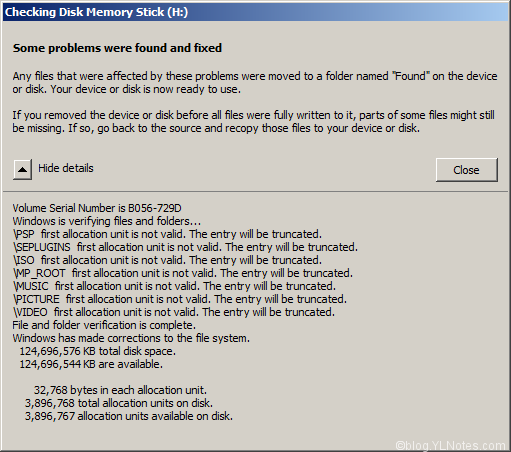 Error 80010011 is due to corruption entry on large SDCard capacity and can be fixed using Windows Scandisk tools. S1-10. Your MS Duo Pro card is ready. 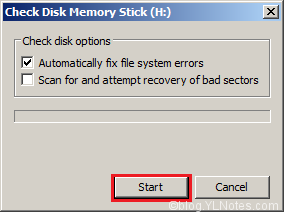 If you want to reuse Micro SDCard SDXC as standalone SDCard, you need to perform these steps to revert back SDCard. S2-4. PSP will format and recognize the first slot SDCard with original capacity. 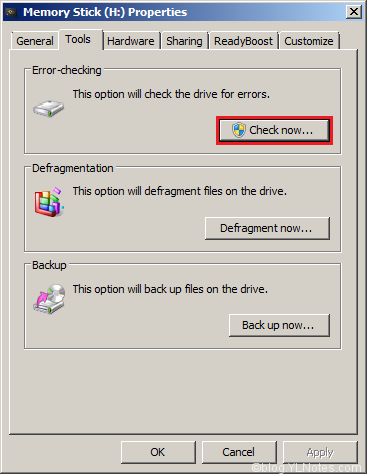 Slot 1 of SDCard in MS Duo Pro is not in the correct capacity when inserted into computer. 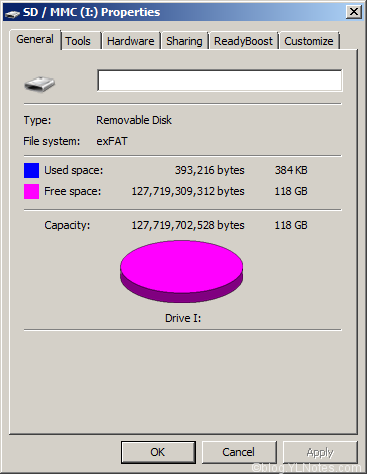 This is due to combine capacity of SDCard when using MS Duo Pro. It must be reverted to avoid damage SDCard. S2-6. 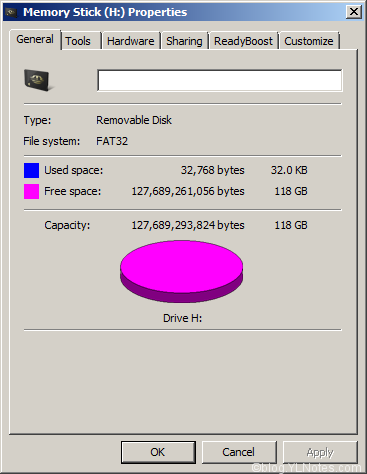 Format two Micro SDCard SDXC in computer with exFAT filesystem. S2-7. Your Micro SDCard SDXC is ready to be reused.